So we finally got around to getting at least one wall of the den/office completed. 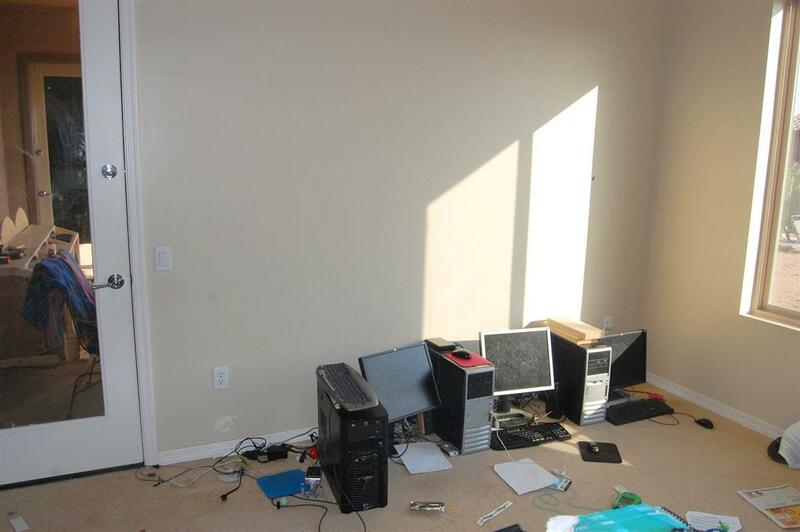 When we moved into the new house last year I had just thrown the computers on the floor with a couple pieces of particle board which sort of made a cheesy desk and called it good. Far from aesthetic but fully nearly functional. After drafting up one the largest makeover projects I might have ever taken on (see last pic below), I scaled it back about 90% and got to work. Only two weekends later it’s done, or rather, 1/3 done to be more accurate, since we have 2 more walls to finish before we’re done. But are house projects really ever done? Step 1. 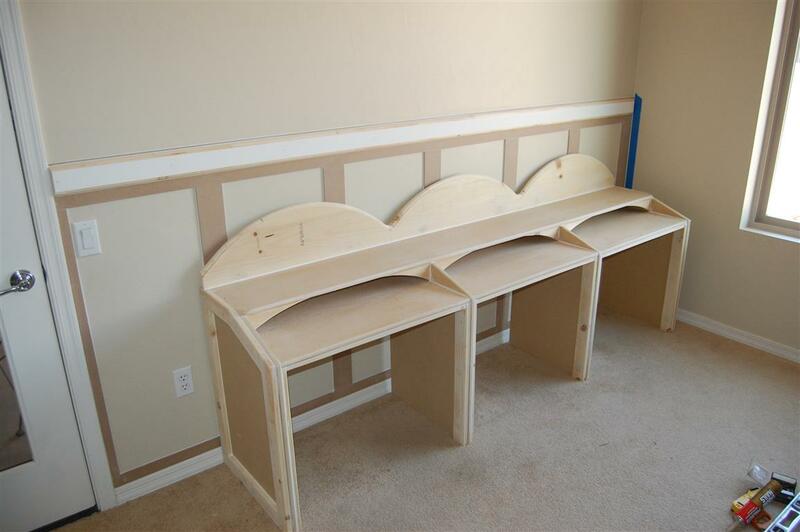 Build a desk. 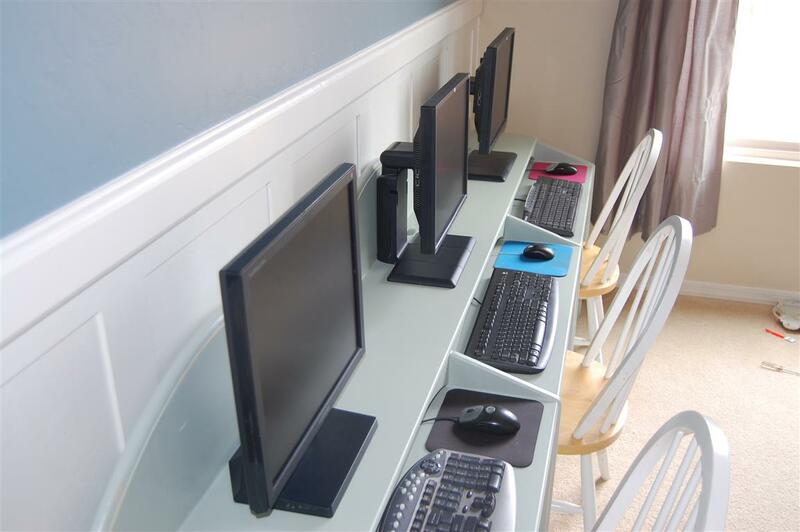 Not just any desk, but a desk for 3 computers. 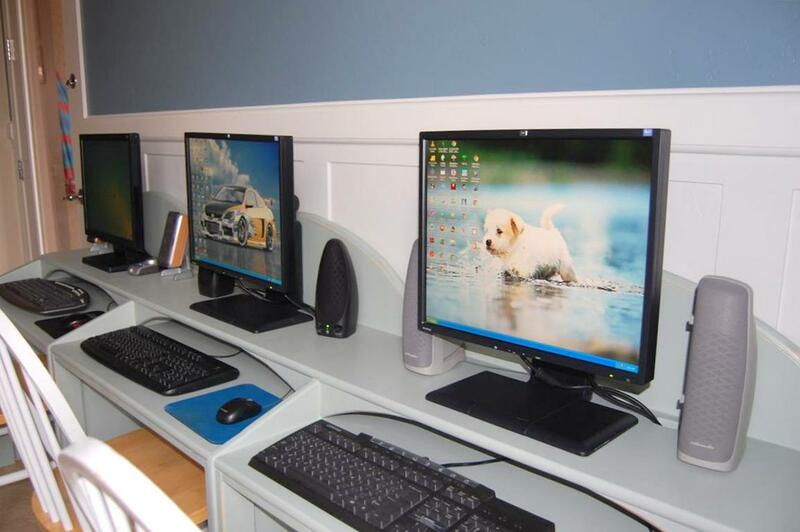 Why 3 computers? Don’t ask. Maybe it’s because that’s how many will fit along the wall, or because that’s just how many I have, or because that’s how many this family needs to stay functional. Whatever the reason, this desk was going to be huge. Though honestly, it wasn’t about the desk, the desk was, or rather is, temporary, a stop-gap until I can do a real built-in. I built it mostly from wood I already had in the garage, namely particle board, MDF and 3×1 common pine strips. It’s nothing fancy, but it was enough for me to get the project started one Saturday morning without a trip to Home Depot. I won’t go into the details of the desk. It works fine for now, it’s also more functional than my “desk” before and now it’s at least somewhat aesthetic and fits the intent and new style of the room. I will say that my wife did a bang-up job painting and distressing it, considering what she had to work with. 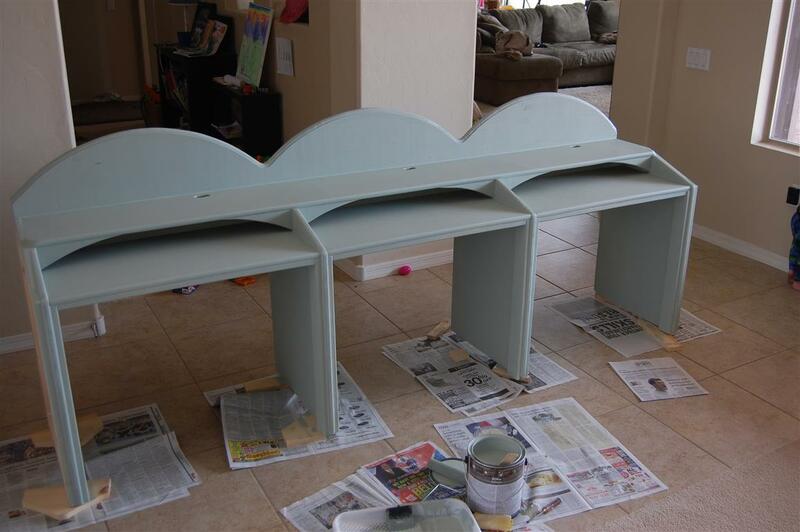 If nothing else, it was good practice for some of the other furniture she has plans to re-finish. Step 2. 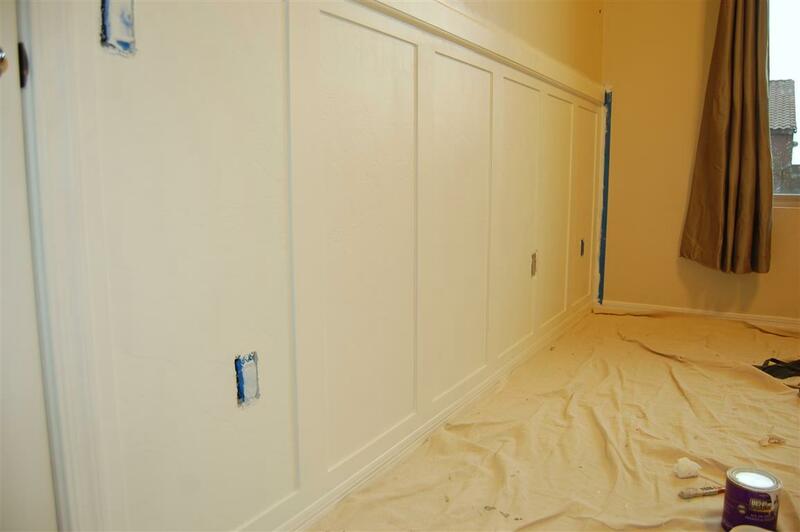 Add the wainscot. 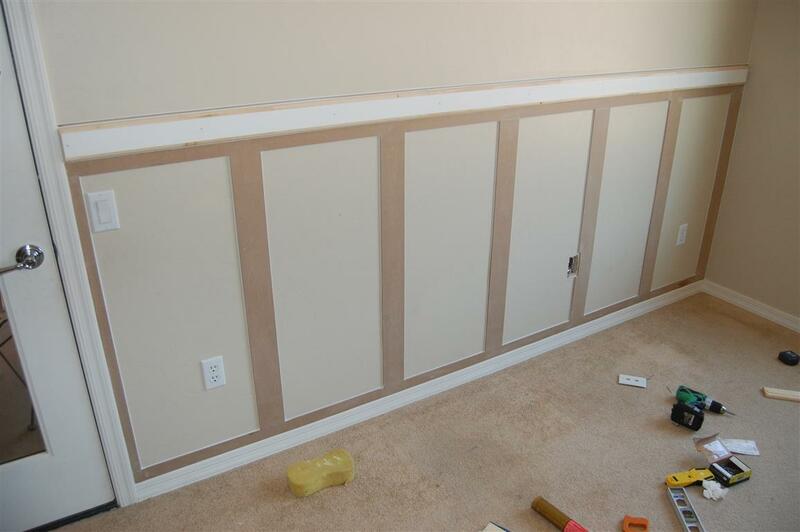 In this case, we did a board and batten style wainscot. Google it and see what comes up if you want ideas. There’s no end to what or how you can do this look. 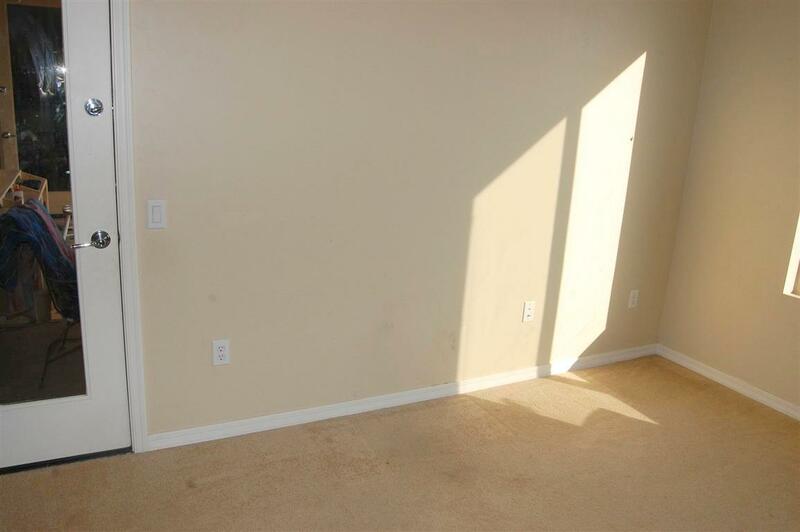 I suppose it’s not really a wainscot but then again, this really isn’t a blog. 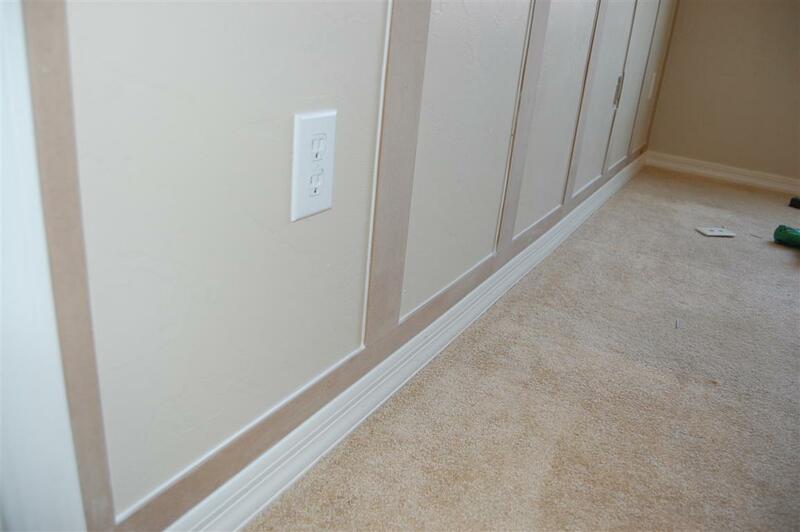 I created this look with strips of 1/4″x3-3/4″x98″ pieces of pre-cut MDF from Home Depot. they sell these pieces for various house projects will no real single intended use. I found they worked awesome for doing the battens as they were the right width and thickness and all machine-cut so the edges were perfect. 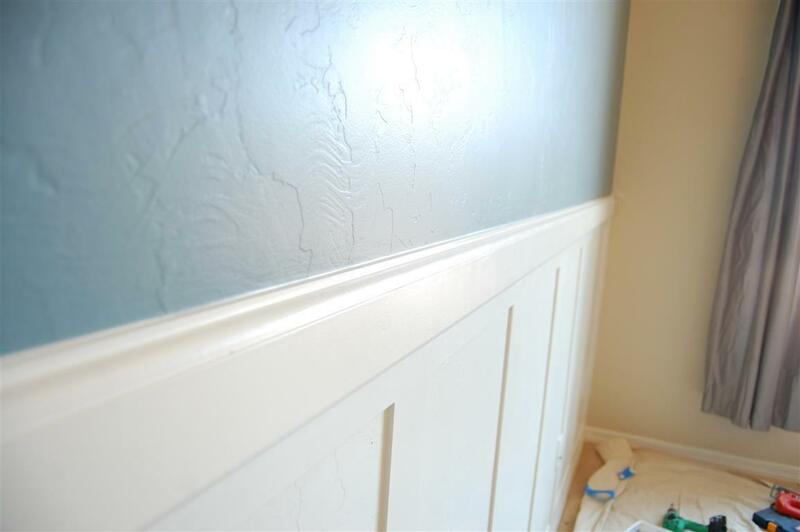 Most people don’t use a board/batten this thin, as the look it creates is more flat, but I wanted a clean edge all the way down to the baseboard, which is just over 1/4″ at the top, and I didn’t want to do a chamfer where the different thickness pieces meet up. I’ve seen it both ways, this way worked best for me. 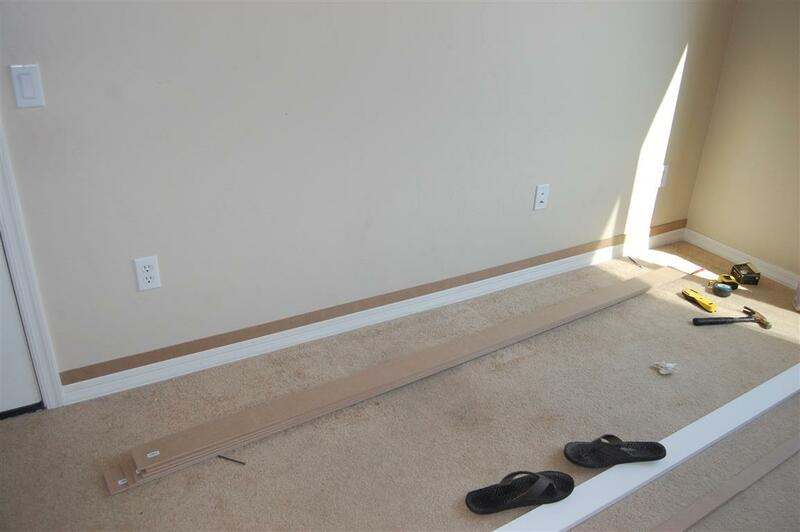 I cut one of the strips at about 2″ and ran it the length of the wall on top of the existing baseboard (which I did not remove) to give it some added height and to create somewhat of a bottom rail. 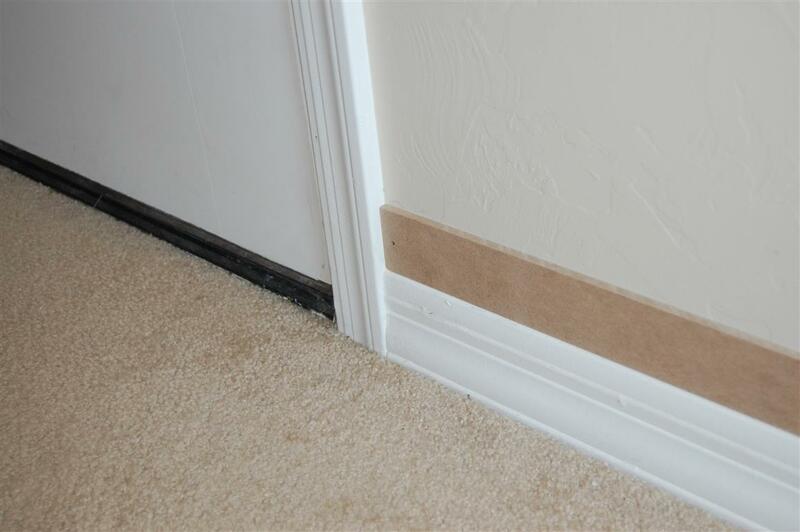 The total baseboard height is about 5″ from the carpet so it looks a little better and gives a nice clean edge for the battens to run into. 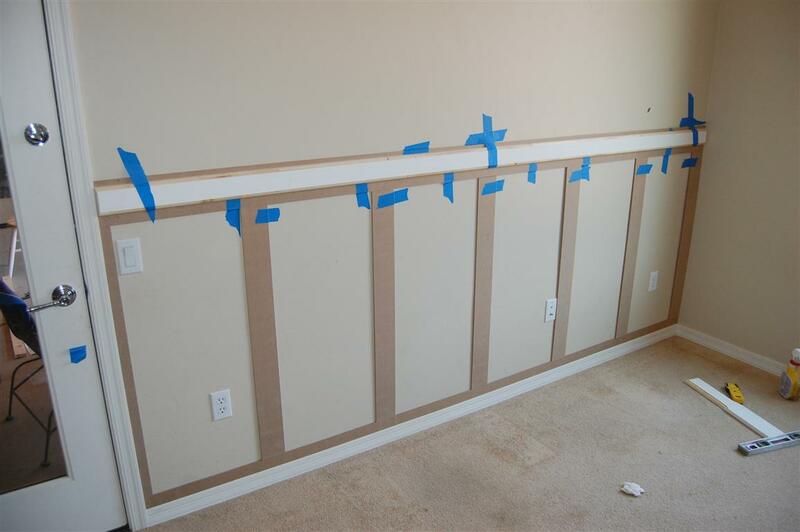 Next I cut seven boards at 39″ and placed each one on top of the 2″ bottom rail above the baseboard. I took the 1-3/4″ piece that was left over from the bottom rail and added it to the top along with a piece of the 3-3/4″ making the top part, the top rail, 5-1/2″ wide. Then to give the molding some depth, I routered a custom top rail to go over the 1/4″ piece and ran it the length of the wall. Since this piece ran into an existing door casing (that was only 1/2″ deep) I ended up doing a 30 degree chamfer to bring the 1″ top rail down to a 1/2″. It looks fine to me, though a real craftsmen would probably scoff. The battens are nailed and glued to the walls, since I didn’t space them on the studs, and the top and bottom boards are glued and nailed only at the studs. 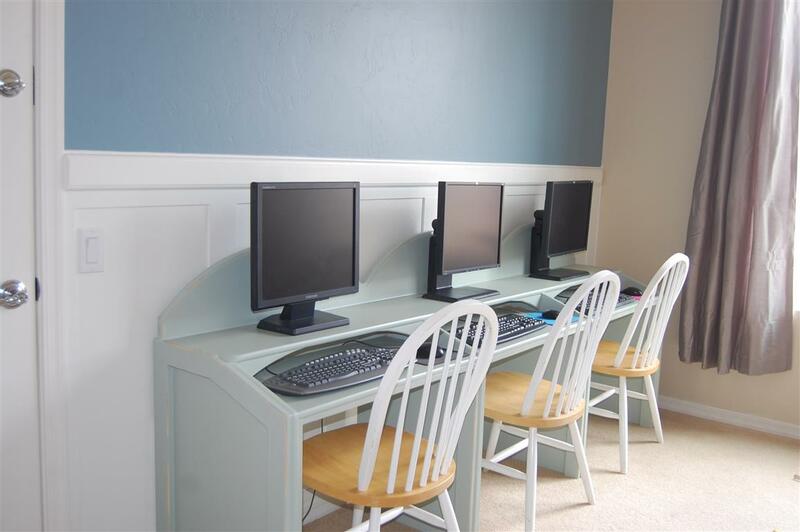 I puttied the holes, caulked the transitions, primed and painted using our original trim house color “Swiss Coffee” in a semi-gloss. The wall finish between the battens is not smooth, it still has the hand-trowel texture as does the rest of the room, but since this was a retrofit job, I didn’t have the spacing to add a flat board and I didn’t trust my mudding skills to try and smooth it. A professional would have smoothed the wall, but for this budget renovation, the texture is a non-issue and really doesn’t look as bad as you’d think. Again, I’ve seen it done both ways. Smoothing it is preferred however and I will reconsider this option as I move through out the house with this style. Step 3. Paint. 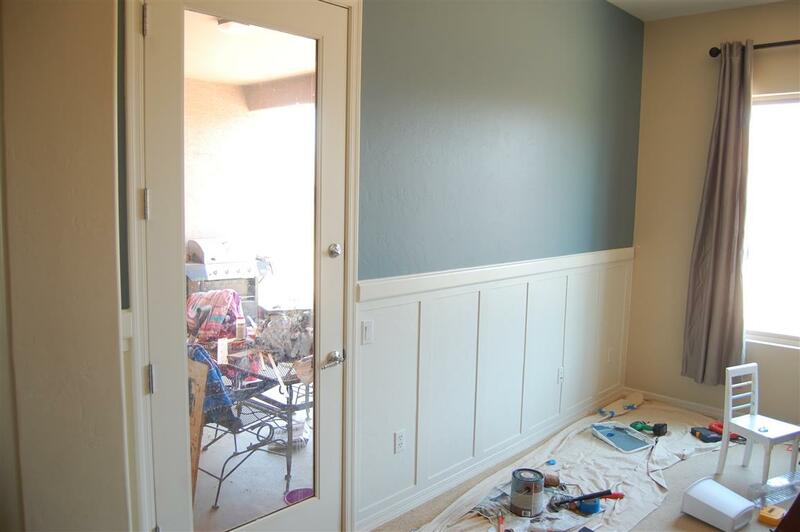 So after painting the board and batten white, it only made sense to apply a fresh coat of color to the wall above it. Our last office we painted a dark/deep blue but this time around we wanted something a little lighter, so we went with a blue-gray midtone Behr color called Silent Tide from Home Depot. This color is beautiful and went on the wall perfectly. The contrast with the white looks awesome. 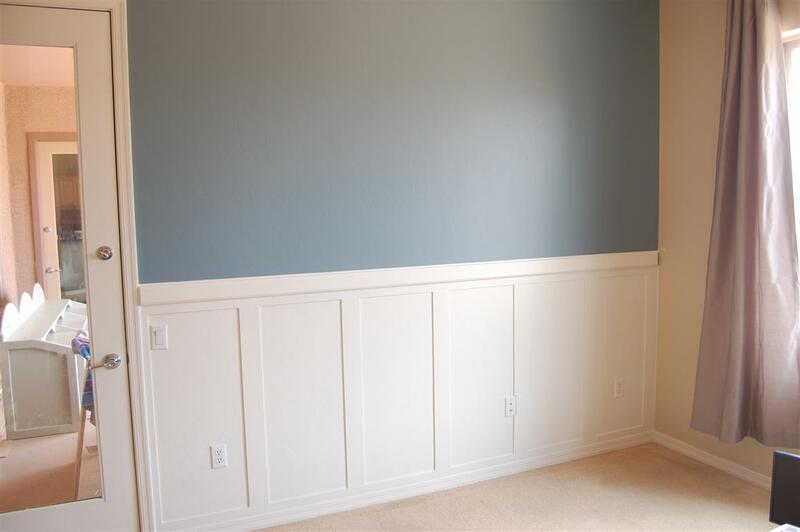 It makes me want to add a wainscot to every room in my house, just to get that contrasting look of color midway up the wall. It’s so neat, so clean. So that’s about it, I’ve nearly hit my thousand word mark, which means I’ve written too much. 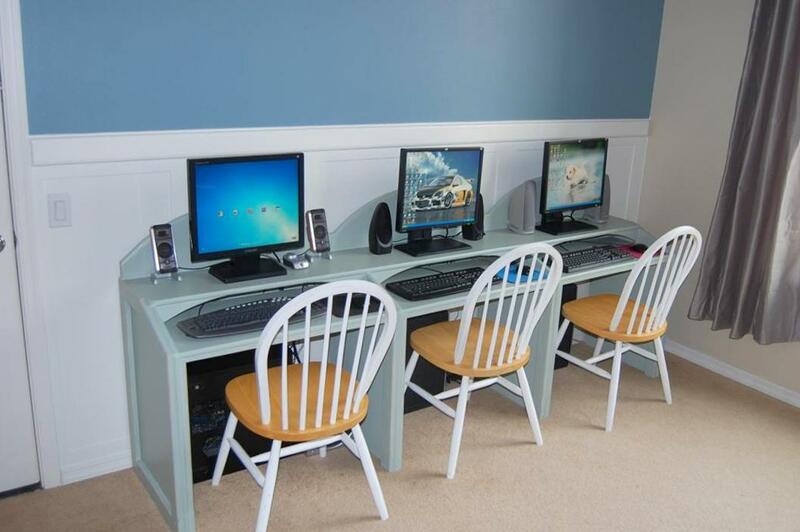 I added the desk I had built (which covered most of the wainscot, bummer, oh well) and set up the 3 computers. And there you have it, how to spruce up an office with some color and style and only 1 trip to Home Depot. There’s plenty of other, better, tutorials out there for creating this style but I’ve never seen it done with so much computing power in front of it! 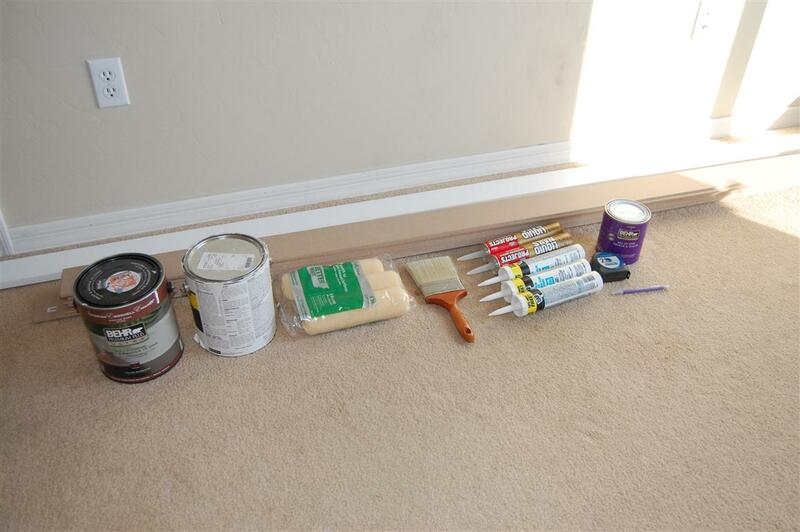 Anyway, check out the pictures below for a complete start to finish on this project and if you like the look, let me know in the comments below! Thanks again for checking out Dan’s Blog For Whoever. 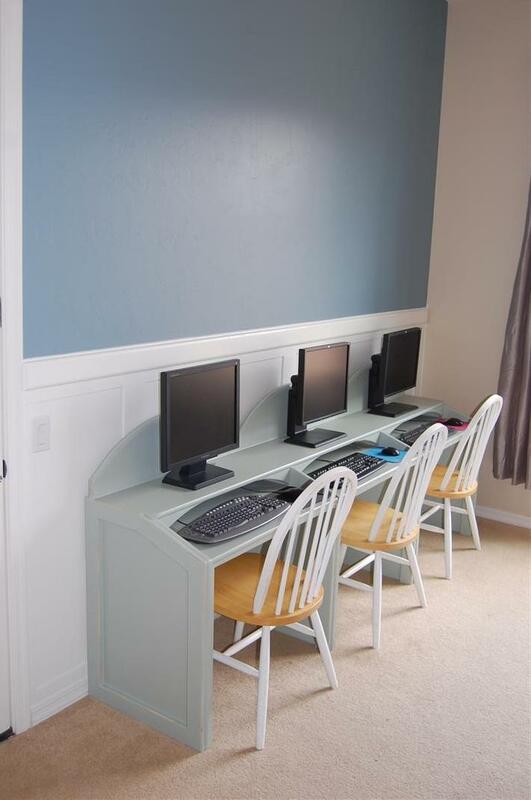 This entry was posted in Home DIY and tagged batten, board, computer desk, den, DIY, makeover, office, triple, wainscot. Bookmark the permalink. That looks awesome, Dan! Great description, makes it seem like something we could attempt when we get a house even with our limited knowledge of wood working. 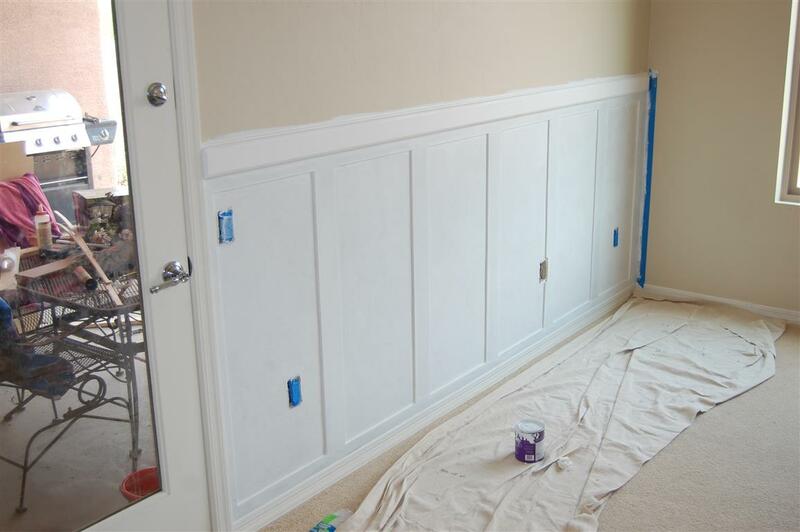 Ive seen wainscotting before and thought it looked too complicated to mess with. You’re right, it’s too bad that the desk covers so much of the wall, but the desk is amazing too! I love the color you guys chose for the wall. 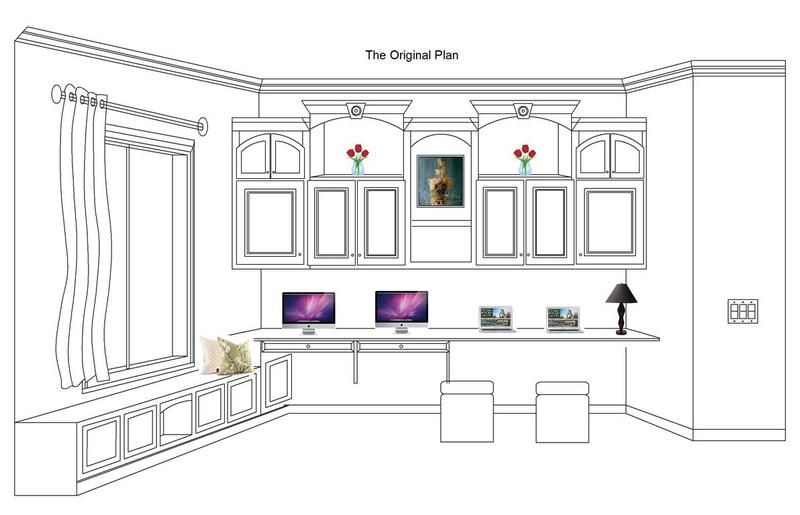 Did you make the “original plan” picture, or did you find that somewhere else and used it as a basis for your work? Thanks Meghan! I did draft up the original plan. That’s originally what we wanted to do, and may still do one day. 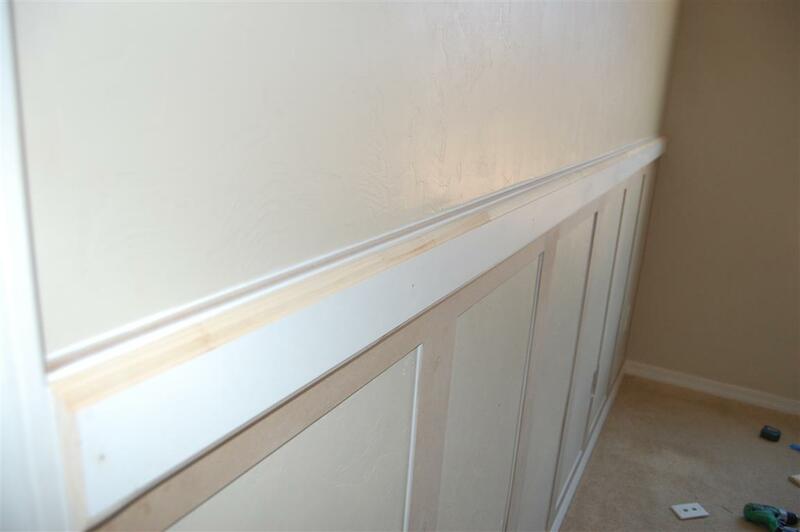 The wainscot will stay either way. I may add the cabinets up top from the the drawing, albeit a scaled down version to fit this other wall. It’s looking a little bare. You could do a project like this, it isn’t very hard. 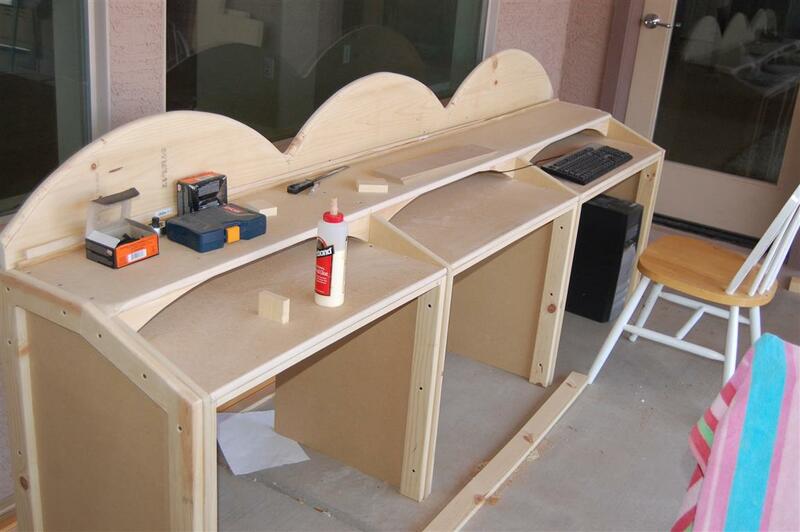 Making the desk however was much more difficult. That took two weekends to complete. 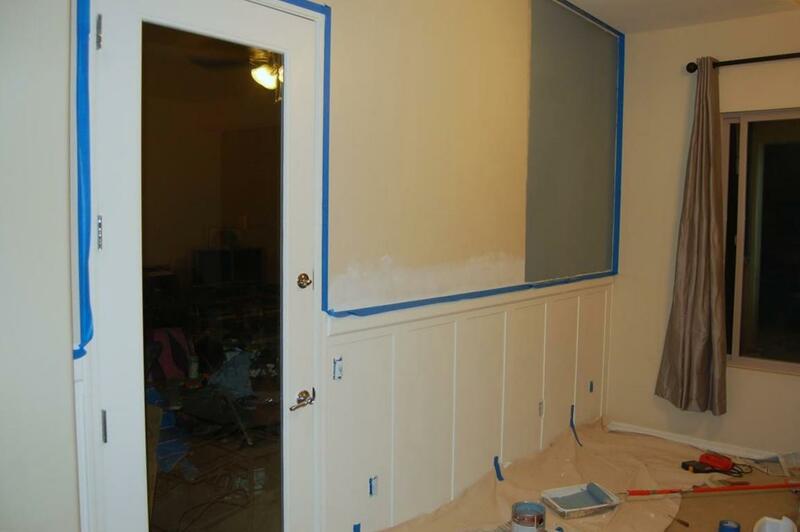 We will finish the rest of the walls here pretty soon hopefully, maybe add the window seat that Melissa really wants.